Wow! The sky is really pretty! The sky does not look strange (on the contrary it's beautiful). But the doves sure look strange. 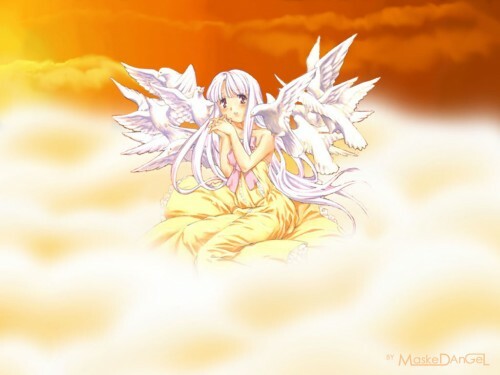 I like the scenario, the girl liing down a pillow of clouds. In 3 words: peaceful, nice and soft. Wow,it`s a good job and I like it.Thank you.